Blog Archive of Chen-ou Liu’s Published Poems: If no one reads my poetry, Death will be the Reviewer. My book is now available through Lulu.This collection of short poems is filled with themes of immigration, learning English, racialized identity, and a poet’s life struggles. 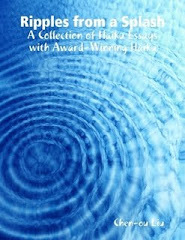 My book is now available through www.lulu.com [Liu's] haiku resonates the Asian spirit, and makes use of aesthetics in a continuum of time that is permanent and impermanent; the process more important than the subjective specificity of object bias found in most Anglo-Western haiku like poems. His poetry demand to be interpreted by the informed reader. They do not tell all, are not based on an “aha” moment, and have no definitive ending. More importantly they give meaning and voice to the unsaid, the magic inherent in Japanese poetry. 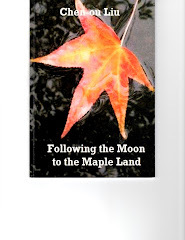 -- Poetry Review by Robert D. Wilson, Editor-in-chief of Simply Haiku. A New Resonance 7: Emerging Voices in English-Language Haiku edited by Jim Kacian and Dee Evetts. 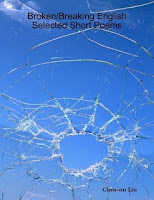 I'm featured in this anthology and have 15 haiku included in it. This is the seventh volume in a series that has won the Haiku Society of America's Merit Book Award in each of its first six appearances.